You may be able to change your password in your profile settings. If you do not have access to change your password, your password is controlled through your institution. Contact your institution to learn how to change your password. Use at least eight characters (the more the better), but most people will find anything more than about 15 characters difficult to remember. Use a random mixture of characters, upper and lower case, numbers, punctuation, spaces and symbols. Don't use a word found in a dictionary, English or foreign. Note: If you forget your password, you may be able to reset it. Learn how to reset your password. Click the Change Password checkbox  to create a new password. Type your old password in the Old Password field . Type your new password in the New Password field . Type your new password again in the Confirm Password field . Note: If you do not have access to change your password, please contact your institution. Your institution will tell you how to change your password. Click the Update Settings button. Previous Topic:How do I set a time zone in my user account as an instructor? 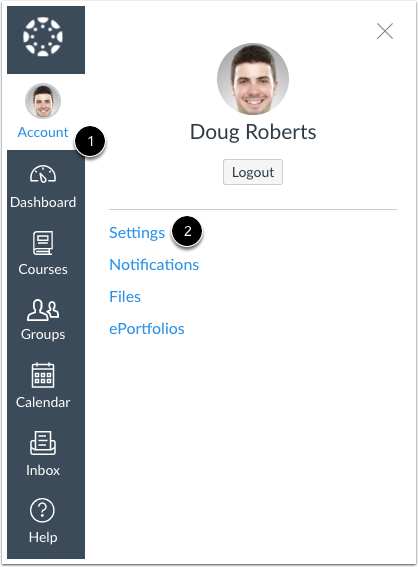 Next Topic:How do I add contact methods to receive Canvas notifications as an instructor? 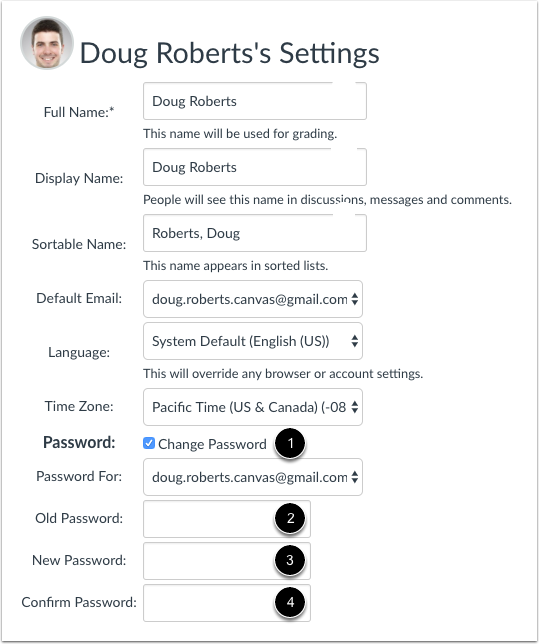 Table of Contents > Profile and User Settings > How do I change my login password as an instructor?